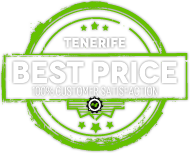 We guarantee the best bike rental prices in Tenerife. Book your high quality professional carbon bicycle now and save. Enjoy your hobby in the best place and for the best price, either for one day only or longer periods. 100% customer satisfaction. Passion, functional design, new technology, an eye for beauty and a deep practical understanding of the demands on product for the sport of cycling, these are the elements that combine to create the world of KUOTA bicycles. 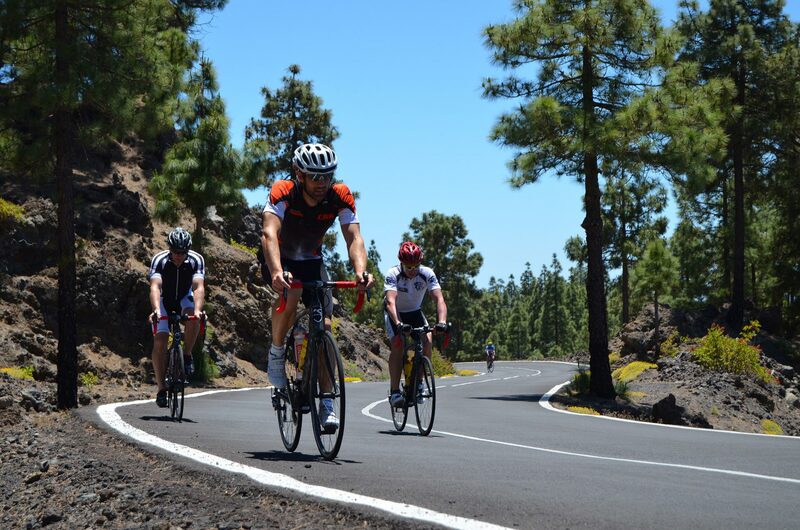 Book your guided tour now and enjoy your cycling holiday in Tenerife at its best with our professional guide, Massimo. Hire a road bike from us and we deliver it to your hotel. Discover the most beautiful places and the best bike routes along the coast on in the mountains. We have rented two Kuota Kryons for two days. After bad experience with another company, we have really appreciated that Attila and Greta delivered bikes on time and in superb condition. They are nice folks and gave us valuable hints regarding road conditions. All in all, we have enjoyed this service. Bikes were clean and in good shape. Rented a bike from Bike 4 you tenerife and would highly recommend them. From first contact via the web site to meeting Greta and her partner in Tenerife the service was excellent. Bike was delivered and picked up as arranged (I have a thing about being late) and was fully serviced and ready to go. Keen to assist with routes. We rented 5 Kuota bikes all fitted with Shimano Ultegra and in perfect condition. Atilla and Greta were very helpful with the bikefitting, we were ready to hit the road or better El Teide in 15 minutes! 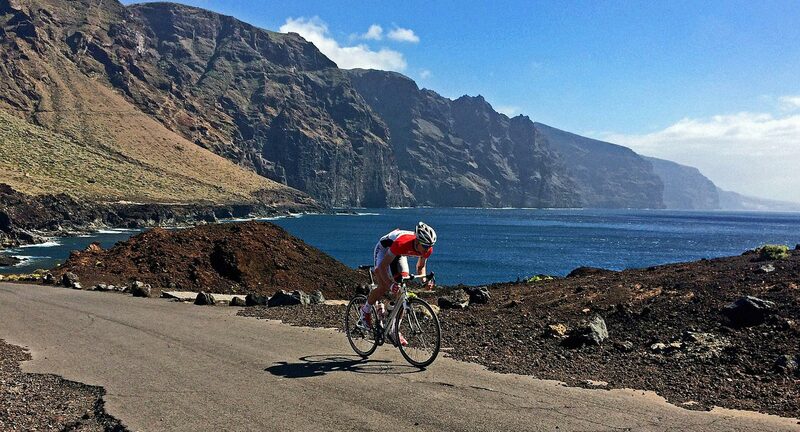 Attila’s recommendations on where to bike and which places to visit on Tenerife were extremely helpful. Don’t miss this route if you want to see the surfers’ paradise before you climb 600m up to Granadilla. On the way down check Castillo San Miguel. 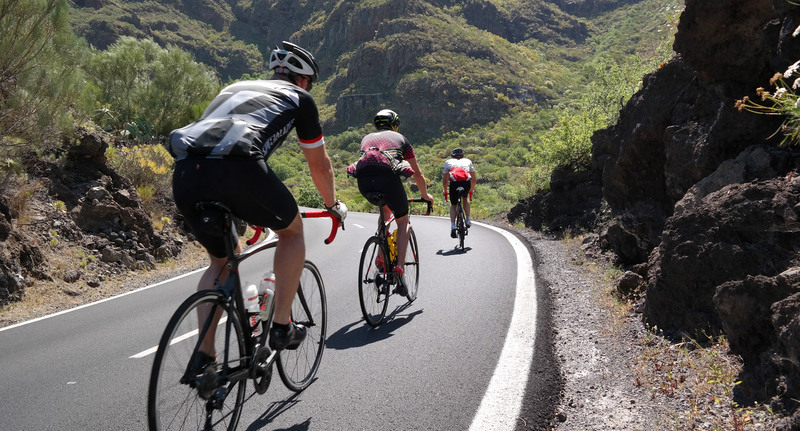 Check the bike rental section, to discover Tenerife. 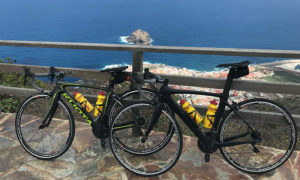 Professional Kuota road bikes to rent in Tenerife. 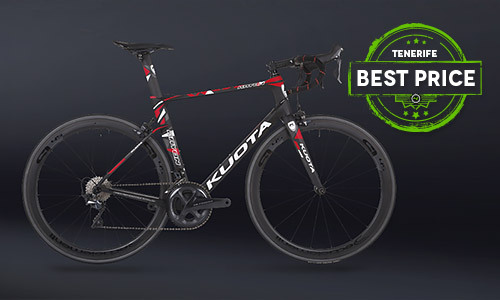 Kuota to offer bicycles that reach ultimate levels of functionality with style.